Engagement season is here! Unbeknownst to you, your spouse maybe planning a proposal surprise of the century. Nearly 40% of proposals tend to take place between Thanksgiving and Valentine's Day. Newly engaged couples everywhere will start to plan their wedding day and many bride-to-be's will think, what shall I do with my hair? 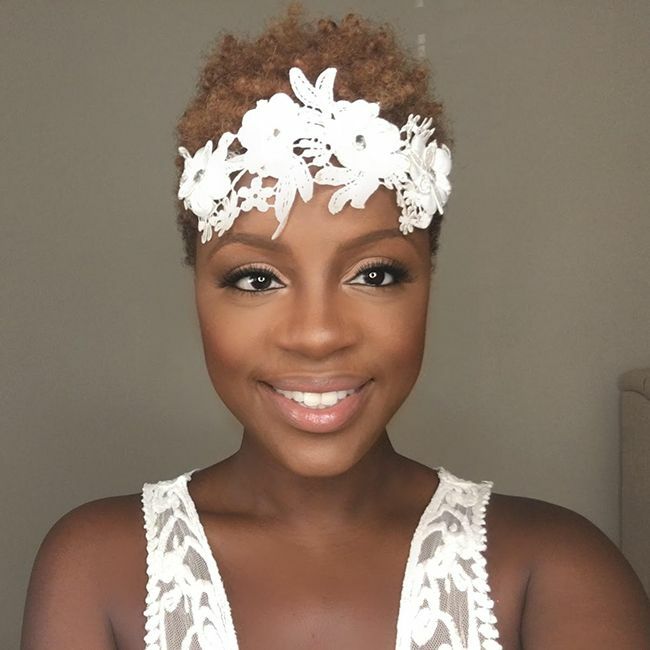 We’ve teamed up with natural hair care expert and cosmetologist Sheri Duke to share how you can style one of the most popular cuts on natural hair, into wedding day perfection with these 4 tips. Let’s take your cut to the next level with color. Knowing what tone of color to choose or if you want a full head of color can be a bit of a challenge. Definitely consult with you hairstylist or colorist to achieve your desired style. Soft tones such as honey blondes, browns and auburn can brighten up your face. Adding a few soft highlights can give your hair more of a shape. It’s best to stay away from bright loud colors that will cause a distraction from your gorgeous gown. This is where the fun begins with different styling methods. This all depends on which length tapered cut you choose. Very low tapered cuts: I suggest using the sponge/palm method. Mid length tapered cuts: can be finger coiled at night and separated in the morning. Longer hair near the crown of the head can be two-strand twisted or a braid-out. To achieve some of the styles above, be sure you have the right styling products. If you’re stylist is creating this look for your wedding day, be sure to request the name of each product he/she is using. This way, you will know which products to use for a touch-up during your honeymoon. Using curl enhancing products is a great way to achieve defined curls. Curly hair looks best with minimal product distribution insuring your hair isn’t weighed down. My favorites are: curl enhancing products, styling mousse and a light weight oil. Finish your wedding day look with a headpiece. Starting with the birdcage veil, an alternative to the tradition mid length or cathedral style veils, its sophisticated yet playful and edgy and can be the most fitting to show off your tapered cut. I’m also a lover of crowns and tiara’s, whether it’s full of diamonds or dainty flowers. These pieces can come very small or very large and it’s entirely up to you. Tiara’s can be worn 2 ways; on top of the head (crown area) or across the forehead. Make sure the style of your hair accessories blends well with your wedding gown style. It’s best to try on the full outfit before making the purchase. Lastly, if wedding hair accessories aren’t your thing, adding a few baby breathes in your hair can do the trick. 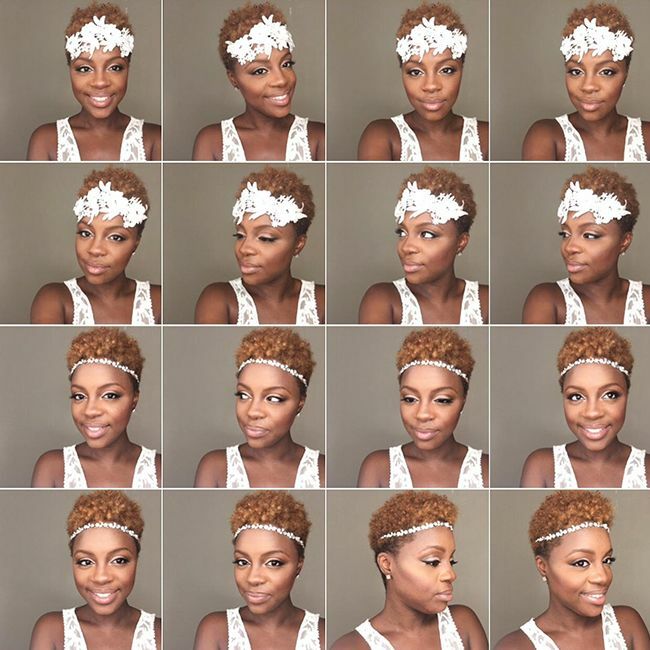 We hope you can take these tips and create the perfect tapered cut for your wedding day. You can find more NaturalHairBride wedding inspiration by visiting our website, www.NaturalHairBride.com. 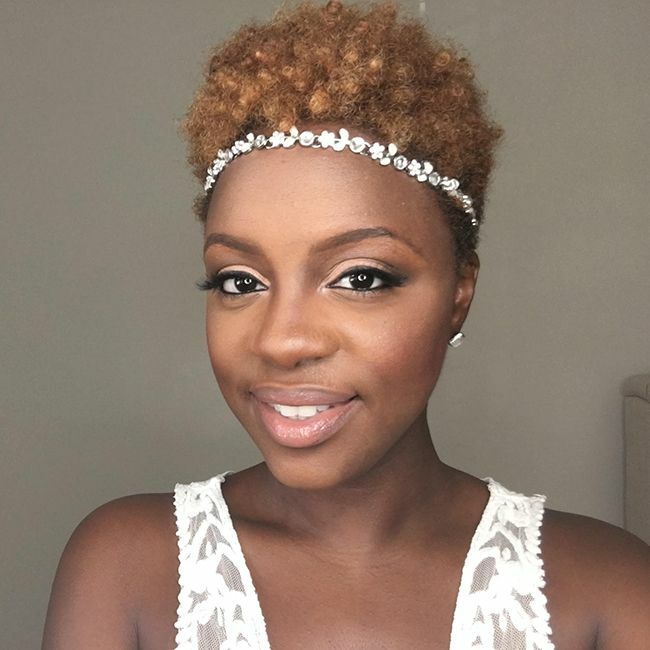 Tell us, how would you wear your natural hair on your wedding day?